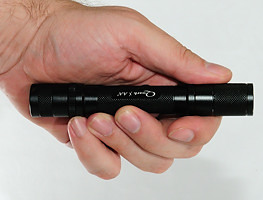 4Sevens started their flashlight business with a light series called Quark, this light has been updated with new leds a few times and here I am looking at the latest update of it, this time to the Cree XM-L led. The light has 5 brightness settings and strobe, sos and slow beacon modes. 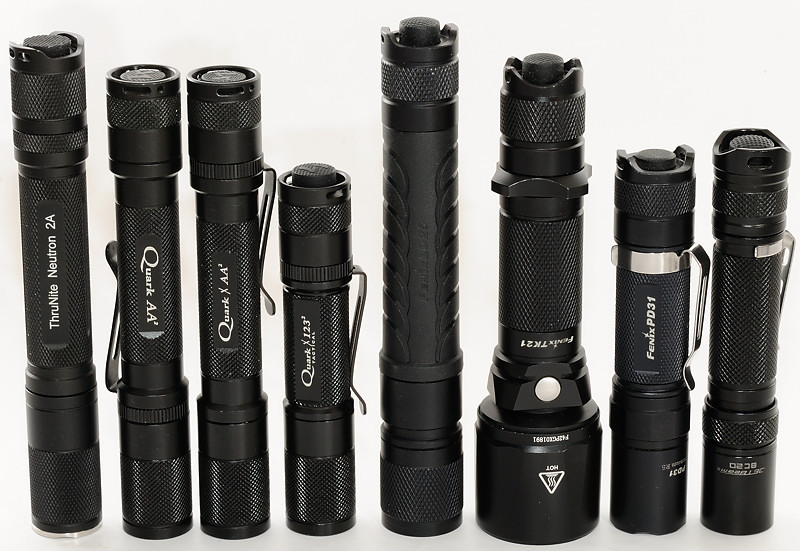 The light is made of aluminum with hard-anodized (Type 3) finish. I got a review copy of the light without any box or accessories, but 4Sevens says that it will contain the same accessories as always. I have used a picture from the old version of the light to illustrate the accessories. 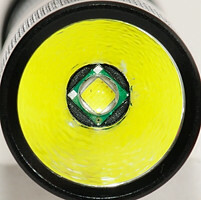 The light has a LOP (Light Orange peel) reflector with a XM-L led at the bottom. The bezel is smooth aluminium. 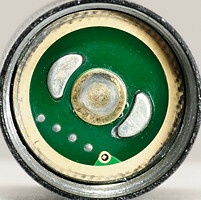 The battery connection in the head has a mechanical polarity protection (The two half moon pieces). The center is reinforced with metal. The ring is part of the mode selection. 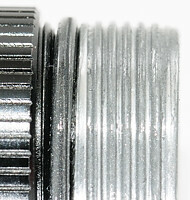 Both front and back threads are square cut, but they are not anodized, because they are used for the electric connection. There is also a o-ring to keep the light sealed. Both body and head has knurling to improve the grip. The light has a removable clip and because the threads on the body is symmetric it is possible to mount the body either way, i.e. 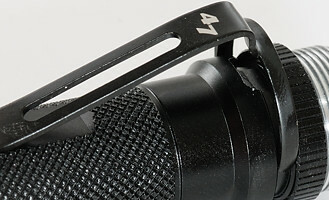 the clip can be used for either bezel down or bezel up carry. 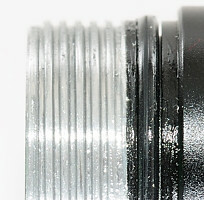 To remove the clip the o-ring must first be removed and then the lock ring loosened. 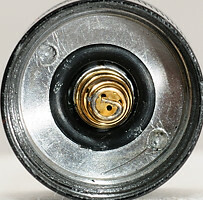 Inside the tailcap is the classic spring with the switch behind it. This light is using the regular interface and has a recessed switch, i.e. it can tail stand. 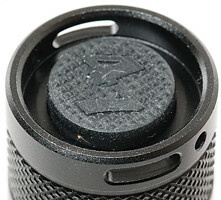 The threads in the tailcap are anodized, this makes it possible to do a lockout, at least until the anodized wears down. The user interface has two sequences, one with tight head and another one with loose head, the light will always start at moonlight or max depending on head, half presses on the tail switch is used to step through the other settings. 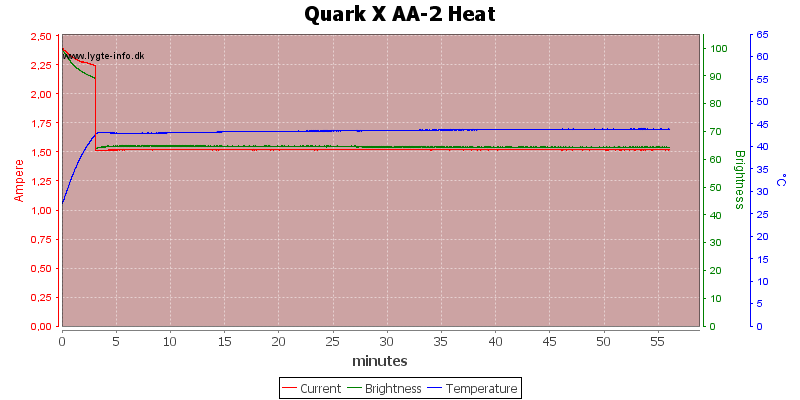 This update of the Quark makes it very bright for its size, to handle the heat a step down has been implemented, except for this everything else is the same in the light. 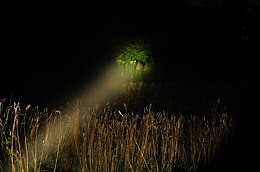 This makes it a good 2xAA light. 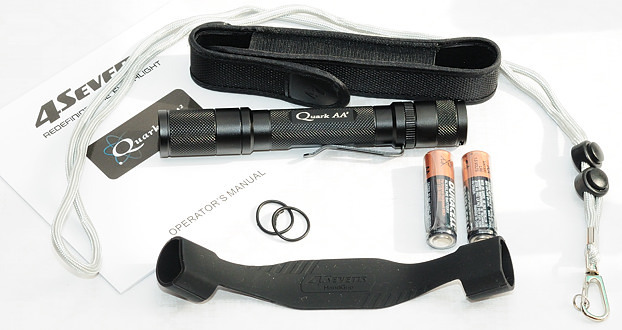 The head of the light is designed to work from 0.9 to 4.2 volt, but not with full brightness at all voltages, for the 2xAA size body it means it will work with alkaline, NiMH and 1.5 volt lithium batteries. In the above table I have collected all modes, measured at 2.4 volt. All the estimated runtimes are with 2000mAh eneloop batteries. 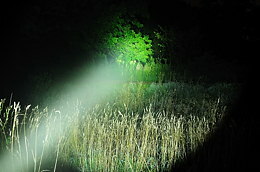 The estimated lumen is scale from the specified maximum. 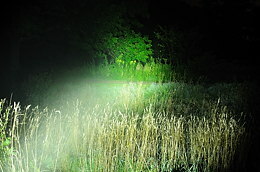 The brightness is a relative measurement from a lux meter. 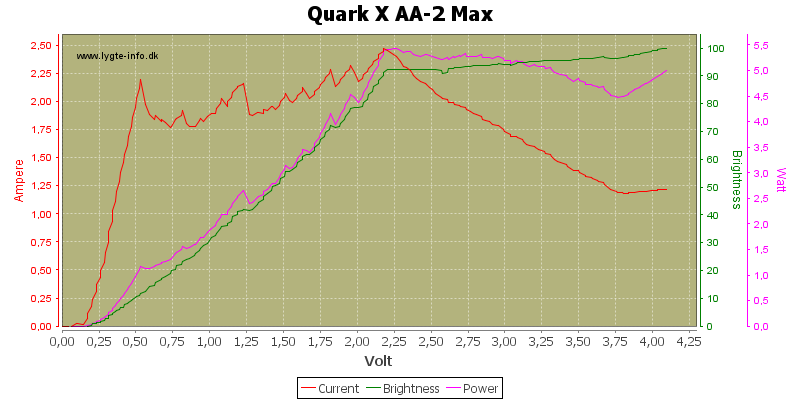 A voltage sweep at high shows a good stabilization that works down to 2.2 volt. An interesting detail is the regulation above 3.7 volt, it does not look like a buck regulation, but more like linear regulation. I.e. the light does not use a buck/boost regulator, but only a boost regulator, supplemented with a linear regulator for voltages above 3.7 volt. 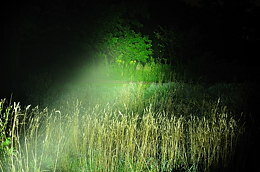 The light can draw up to 2.5 ampere. 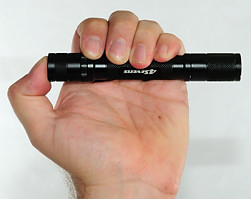 After a few minutes the light will reduce output, this reduced output does stabilize down to 1.7 volt and uses linear regulator when voltage is above 3.4 volt. 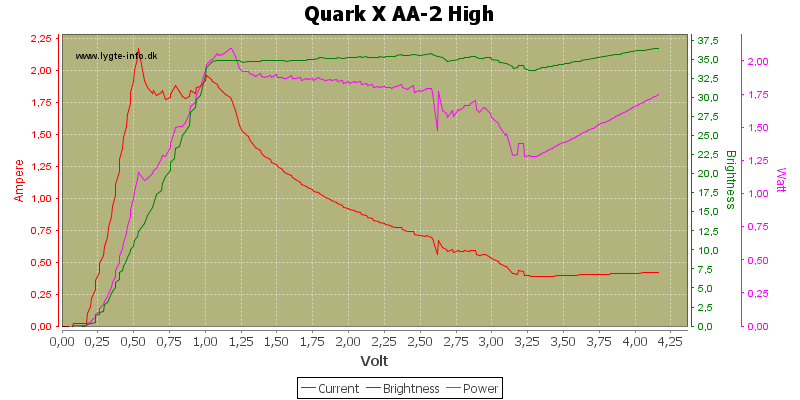 High will stabilize down to 1 volt and can draw up to 2 ampere. 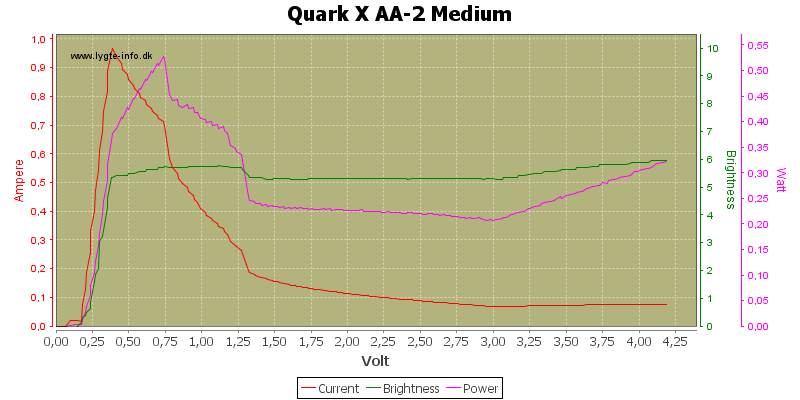 Medium can keep regulation down to 0.4 volt, but the efficiency goes down at low voltage (This is expected). Low does also stabilize nicely. 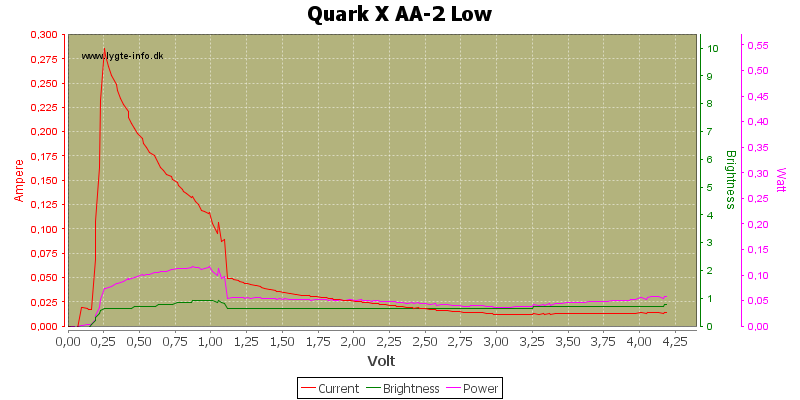 As usual alkaline cannot handle a high power light, but NiMH works fine. 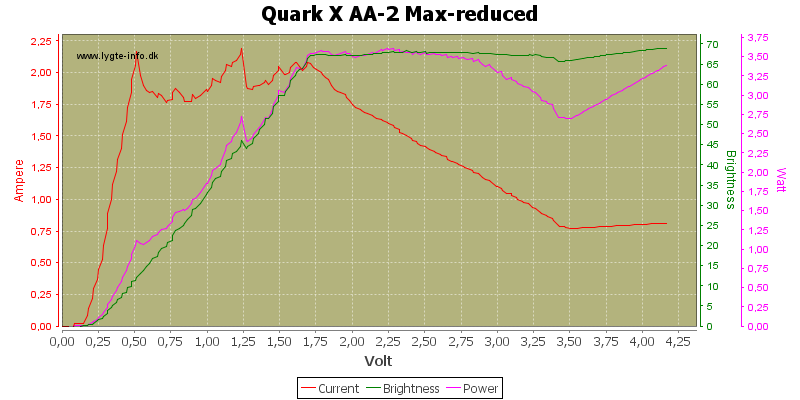 When output is reduced to high, alkaline can also be used, but they only have half the runtime of NiMH. The light did not have any cooling fins and is a small light, how can it handle the heat? 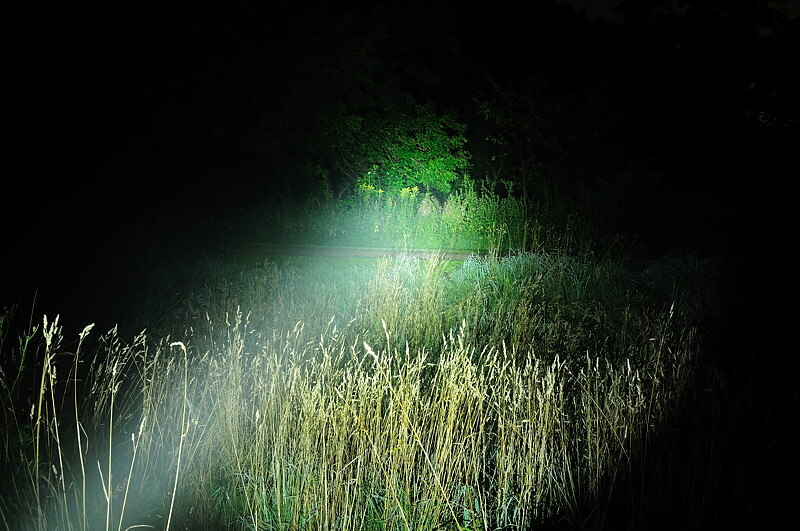 As can be seen on the curve, the temperature rises fast when the light is on max, but when the light reduces output after 3 minutes, it can keep a stable temperature. 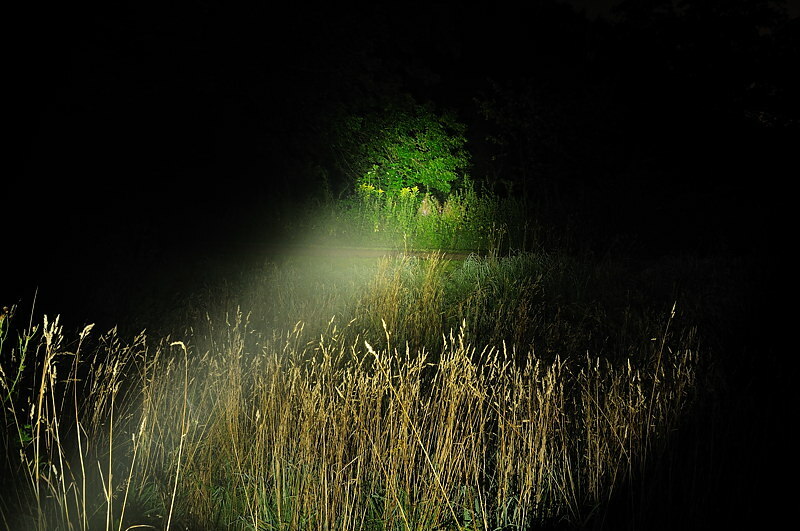 When selecting the beacon mode the light will flash a couple of times fast and then look like it turned off, but 9.3 second later it will do a 1 second flash, this will repeat: 9.3 second pause and 1 second flash. The sos uses a 0.34 second dot time and takes a total of 11.3 seconds to transmit. Strobe is 9.7 hz with 50% duty cycle. The drive does not give a completely smooth light output, there is some noise in the light, depending on battery voltage. 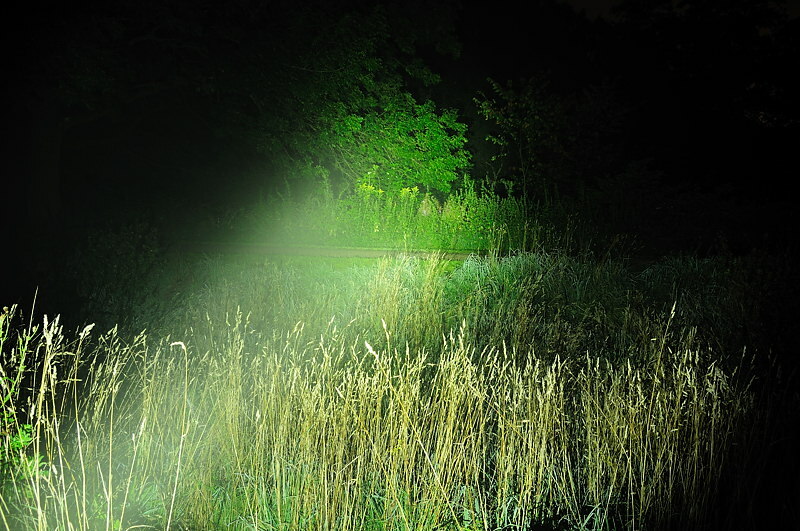 The frequency of this noise is fast enough to be invisible. The light does have preflash when using it on low, it only last about 1/1000 second, but is much brighter than moonlight mode. The light was supplied by 4Sevens for review.